GIVE your STRATEGIC PLAN a LIFT. Strategy Boost™ is expert facilitation for your next strategic planning meeting. We provide design, facilitation and documentation expertise so you can fully participate in the discussion AND be sure the meeting’s objectives are met. With a Strategy Boost, you bring our vast experience facilitating complex strategy development to your next planning retreat, annual board meeting or high stakes decision-making session. Strategy Boost™ includes access to all the same tools and techniques used for a comprehensive strategic planning engagement (Strategy Summit™) but paired down for a more limited scope engagement. 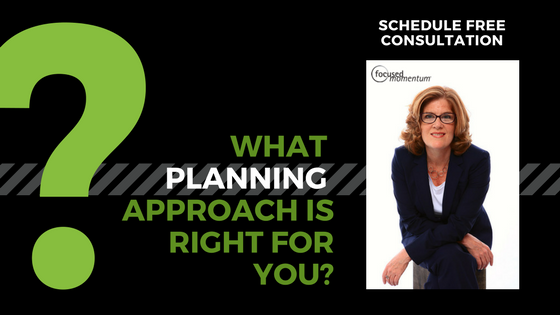 The Focused Momentum team meets with you to evaluate your needs and design a custom strategic planning session (typically one-day) to meet these needs. We facilitate the session and provide documentation of key agreements and next steps. Ever Strategy Boost™ engagement includes assistance in preparing participants for the session, coordinating logistics and site preparations, speaker prep support, meeting facilitation and graphic recording (if desired) as well as full documentation of the session and a debrief to clarify next steps. After more than two decades helping Fortune 500’s and national non-profits, Cecilia Lynch, Founder and Principal for Focused Momentum® has created a way for any group or team to have access to professional facilitation for their important meetings. Strategy Boost™ sessions are tailored to your needs and delivered typically in a one-day format to quickly focus your strategic thinking, strategy development or decision-making on any high priority topic. Think you still can do it on your own? Use our checklist to START preparing for your next strategy session like a PRO.